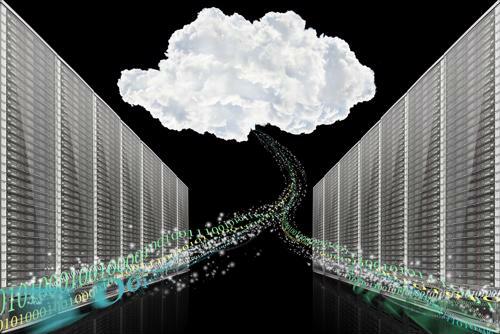 The private cloud ERP gives you visibility and control of your operations anywhere, 24/7. In recent years, the options for cloud computing have expanded, and this has greatly benefited users of enterprise resource planning software such as JobBOSS Shop management Software. The benefits of cloud computing - 24/7 accessibility, managed and up-to-date IT infrastructure with levels of security, redundancy and backup - are now available to manufacturers that also want to own and customize their ERP platform. The hosted or private cloud provides the best of both worlds; all of the functionality and flexibility of on-premise software without having to manage and maintain an IT infrastructure internally. With the introduction of JobBOSS Cloud, small- to medium-sized manufacturers now have the power to choose the ideal solution for their unique business needs. To understand the difference between the private cloud and the more well-known public cloud technology, it's important to understand how cloud computing works. With the private cloud, software, platforms and other IT infrastructure are placed on a server located off-site, usually in a data center. Monitoring data and CPU usage, workers at the center can make adjustments to a customer's software, allowing it more or less storage space or bandwidth according to its needs. Companies have their employees access data and software through an Internet connection either in the office or anywhere, 24/7. "The private cloud gives you control over the infrastructure and software." The difference between private and public cloud is sharing. Public cloud services such as Amazon Web Services give you a "share," which grants you storage space and computing power but has you share this hardware with other companies. Think of it like renting an apartment, only you can make your room bigger or smaller at will. The private or hosted cloud gives you exclusive control over the servers and hard drives that you lease, and the software you choose to have installed on it. So instead of renting the apartment, you're leasing the entire building. The private cloud sounds protected and exclusive, so why would you need it? As IBM notes, you may need this sort of technology because your business has very specific demands. For example, you may be subject to regulatory compliance in what you produce, especially if you're working chemicals or other potentially hazardous materials. In other cases, you may just sleep better at night knowing that your business and customer data is under your watch, no matter the place or equipment. The typical remote cloud data center provides security and backup procedures that are far superior to what's usually offered to the average small to mid-sized manufacturer. Security may in fact be a strong motivator to switch to cloud technology, rather than avoid it. Additional benefits of using the private cloud will also give you good reasons to switch. For one thing, you need far less IT infrastructure on-site. In fact, in most cases as a small manufacturer, you don't even need a server apparatus to get things up and running. At the same time, you're allowed a high level of control of what goes on the server and how much space, bandwidth and computing power you may need, which you wouldn't have in the public cloud. That ability to manage everything can be extremely helpful if your business requires that much detail, and allows you to become more agile as a competitor and successful as a business. Learn more about the benefits of JobBOSS Cloud here. 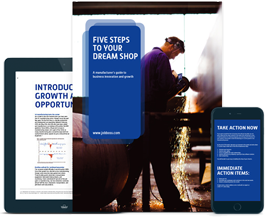 Five tried and true fundamentals to building your dream job shop. Download your ERP business guide! 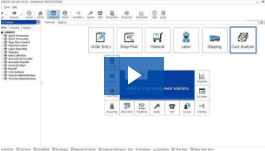 On-premise or hosted software; job-based shop management system for custom, mixed-mode and service manufacturers focused in metal fabrication, rubber/plastics and machine building industries.